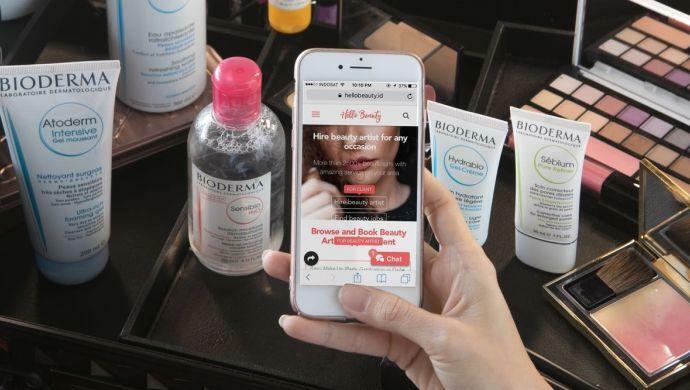 Beauty services marketplace and community HelloBauty on Monday announced that it has raised an undisclosed seed funding round from Nest Corp, an Indonesia-based venture capital firm. The fundraising process had been completed since March. The funding will be used to focus on product development so that the platform can serve as a better support system for beauty services providers. Feeling even more comfortable with its business model, which includes a premium subscription service, HelloBeauty plans to launch its mobile app. The company has been operating using a web-based application. According to co-founder Dennish Tjandra, the service has accommodated more than 2,700 beauty artists. It has also secured more than 500 premium subscribers. In principal, HelloBeauty works by connecting beauty artists with potential clients in search for beauty services anytime, anywhere. Apart from helping women to search and book beauty services easily, Hellobeauty also helps beauty services providers to use technology to manage and develop their business online. “More than that, we are also developing the industry’s first beauty artists community; as they have been fragmented and working by themselves all this time. This is the reason why HelloBeauty is here to build a better ecosystem for the beauty services industry,” said Tjandra. A year since it was founded by Tjandra and Pradana Dyaksa, HelloBeauty has been running its operations through bootstrapping and have been shortlisted in the top five participants at the Startup World Cup Indonesia 2017. Their growth is supported by the fast-growing market; according to data by beauty giant L’Oreal, the beauty services industry grows for at least 20 per cent annually in Indonesia. There has also been a noticeable change in the beauty services industry recently. Many years ago, almost all beauty services industry talents are working fulltime in beauty salons. But today, many talents would prefer to build their career or business as a freelance beauty artist. The article Marketplace Jasa Kecantikan HelloBeauty Dapatkan Pendanaan Awal was written in Bahasa Indonesia by Randi Eka Yonida for DailySocial. English translation and editing by e27. The post Beauty services marketplace HelloBeauty raises seed funding round appeared first on e27.